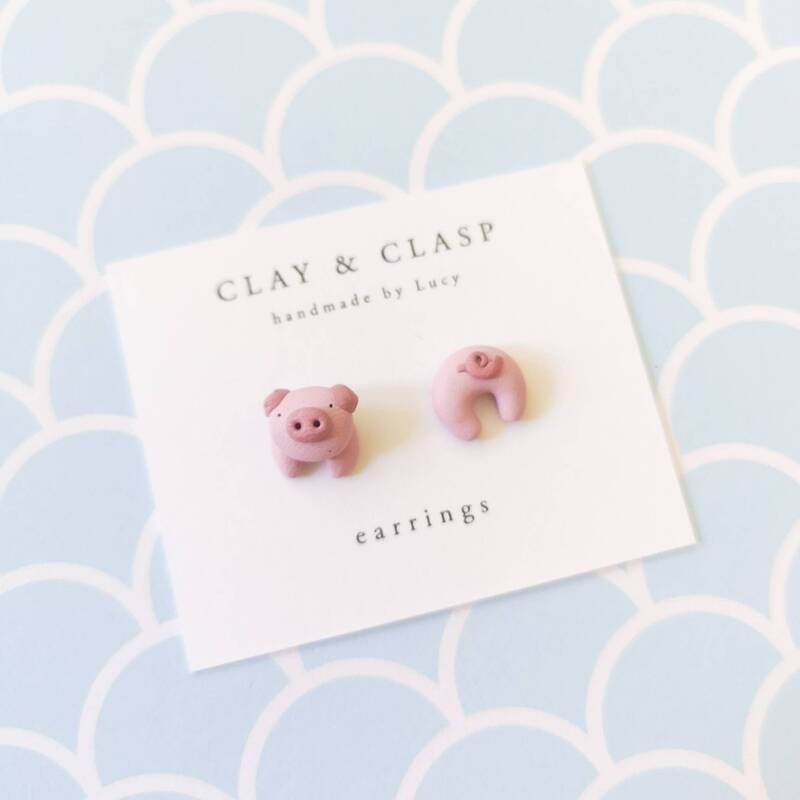 Polymer Pig head and tail earrings handmade by me! Available in any colour! Please let me know if you require a different colour to the white background shown.